It’s impossible to own a home without pondering the occasional, or frequent, home improvement. The great benefit of a makeover is that the time, creative energy, and yes, cash, you spend on such a project don’t just translate into enjoying a space you love, but also into a higher home price if you ever decide it’s time to sell. Where to start? Which updates offer the most enjoyment for the least effort? Which ones offer the most bang for the buck? How about the “wow” factor? Over the years, the kitchen has morphed into the heart of the home — for eating, gathering, working and entertaining. The warm, social kitchen is in, way in. Whether your goal is a full remodel, or just a refresher, there are many style options from simple to extravagant that can brighten the outlook for your favorite room. Be aware that sometimes it’s best to leave it to the experts. Several surveys report that nine out of ten homeowners hire a professional to get the job done, with nearly two-thirds of renovating homeowners hiring general contractors or kitchen remodelers. One of the easiest and most cost-effective ways to update any room is with a fresh coat of paint. A simple white palette continues to be a favored kitchen design element for wall finishes, backsplashes and countertops. According to a consumer preference survey conducted by Houzz, an online remodeling and design resource, 36 percent of today’s homeowners prefer white, compared to last year’s 30 percent. An updated twist on the all-white trend is to employ a white-on-white color scheme, using different shades of white for walls, trim, cabinets, countertops or tile. For a “not quite all white,” option, paint one focal point — like a wall, a center island, a table or a separate cabinet — in a favorite color for a vibrant splash. Other popular kitchen paint choices include seaside blues and greens, cheerful yellows, smoky grays and even the intense tones of navy and plum. Drab, worn cabinets are a clear sign that your kitchen needs a facelift. The options are plentiful, depending on your budget. If the cabinets are otherwise in good working order, there are two paths to consider. The first is to thoroughly clean the cabinets with a mild solution of Murphy’s Oil Soap and rinse them completely, following with an application of a good cream polish. The second option is to return to that simple coat of paint. For instant impact, replacing the cabinet hardware is a good choice. Cabinet hardware is like jewelry for the kitchen, allowing you to personalize just about any style. A satin or brushed finish resists fingerprints. Whether you prefer classic nickel or steel, pewter, oiled or antiqued brass or bronze, glass or ceramic, hardware allows you to set a unique tone and style for the kitchen. If existing cabinet doors are shabby or ill-fitting, and the hinges have gotten too creaky, it might be worth investing in new ones. Shaker-style cabinet doors are currently the most popular, preferred by 57 percent of homeowners updating cabinets, according to Houzz. The style is marked by simple, minimalistic pieces, with cabinet doors featuring a recessed center panel. Shaker-style cabinet doors are so flexible style-wise that they can go either traditional or modern, depending on what you pair them with. Cabinet refacing or resurfacing is one step shy of a full rebuild. The process requires you to keep existing kitchen cabinet framework intact, while completely transforming the outside appearance. Refacing includes reinforcing existing frames, then applying a veneer of real wood or laminate. The transformation is completed with new hinges, knobs and/or pulls, and moulding. When new cabinets are a must, consumers have their priorities — often involving center islands and specialized cabinets with built-in storage solutions like pull-out waste bins, bakeware organizers, revolving corner trays, and pull-out or swing-out trays and shelves. Nearly two in five kitchen remodels include a new center island and 48 percent of homebuyers report they would pay more to have one. Regional design professionals note that about 75 percent of kitchen remodels featuring islands have the island with a different finish than the rest of the cabinetry. Also, specialty cabinets built to resemble furniture give the kitchen a “curated over time” appeal. Countertops are having a significant moment today as homeowners focus on sleek, decluttered kitchen surfaces. New countertops are the most common update, with 94 percent of renovating homeowners making this change. A real estate survey reports that about 55 percent of homebuyers will pay more for a home with updated countertops. The long-time favorite material, granite, will never go out of fashion. In all its many patterns and colors, granite is a timeless choice. Its single flaw is that without sealing, it can absorb spills and permanently stain. However, engineered quartz (a composite of quartz and resin) is emerging as a trending option. Quartz is a solid, non-porous material that has no need of sealing to keep it pristine. Until recently, quartz hasn’t had nearly the style of granite or marble, but that has all changed with modern techniques lending notes of design and flair. Marble is also returning as an option, with flowing patterns in bold tones, although like granite, marble must be sealed to prevent stains. Many of the quartz companies have done an amazing job of replicating intricate marble patterns. Other interesting countertop materials are polished concrete, metal, and even wood. Experts recommend using cleaning products certified as safe for your specific countertop material. Natural surfaces (especially marble) will degrade, fog or pit when exposed to harsh chemicals. Also remember that replacing a countertop presents an opportunity to install a new glass or tile backsplash for additional punch. Given that the sink is the most used item in the kitchen, a new one will stand out. Today’s kitchen sink trends merge functionality with style, making them the focal point for food preparation. One of the hottest kitchen sinks right now is the “farmhouse” or “apron” sink. Farmhouse sinks are so named because they mimic the extra deep, exposed-front sinks common in many vintage, rural homes. Many homeowners have discovered that having a double sink can make a big difference in a kitchen’s workflow, offering a second space for food prep tasks. A similar option is a long, lean, deep trough sink, which offers significant elbow room for a team of cooking enthusiasts. A “vessel” or “basin” sink sits above the countertop and is a visibly decorative choice, although less handy for large tasks. Stainless steel is still the most popular sink material, followed closely by porcelain or enamel. Trending sink materials include concrete, stone, copper and granite composite. For a truly budget-friendly choice, skip the new sink and install a fancy new faucet, a quick and inexpensive update that can make a huge difference in style. When it comes to kitchen floors, nothing beats wood. Surveys show that wood is still the most popular flooring choice, favored by 82 percent of homeowners. In addition, 52 percent of prospective buyers report they would pay more for a home with wood floors. Engineered wood and laminate, even wood-like tile, are gaining in popularity due to their durability and water resistant or waterproof qualities. Call it a need for eye candy, but shiny new appliances — refrigerator, stove, dishwasher — have a huge impact on the “wow” factor with homeowners and prospective home buyers. Although high-end appliances are typically the most expensive kitchen renovation, Houzz reports that 39 percent of renovating homeowners are willing to splurge on them, and a survey of Realtors notes that 69 percent of prospective buyers will pay more for a home with updated appliances. Stainless steel remains the favored material for new appliances. A note of caution — if possible, keep the appliances and plumbing where they are. A renovator’s rule of thumb is to add $2,000 to the final bill every time you move either one. It seems like every time a home improvement television show airs, an interior wall gets knocked down. Taking down a wall to create the coveted “open kitchen” may seem like the thing to do these days, but in purely financial terms, it may not make sense as a renovation project. The open floor plan has dominated homes in recent years, but not all homeowners love it. It’s an expensive renovation, and some homeowners are going the other way, seeking more definition in their living spaces. A half-wall of cabinets, low bookshelves or a bar create a semi-open floor plan with clearly defined spaces for both the kitchen and the living room. For the most part, people are creating kitchens to please themselves — making their space more beautiful and functional, with an eye for upgrading appliances and improving storage. Surprisingly, the goal of increasing home value came farther down the list of motivating factors, but still ahead of open floor plans or improved entertainment space. Homeowners are planning kitchen makeovers according to their own wishlists, with a bonus benefit of pleasing a future buyer. 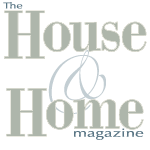 The House & Home Magazine would like to thank our regional kitchen design professionals for their gracious advice and guidance for this article. Special thanks go out to: Dee David, Dee David & Co.; Marian Leigh Walker, Noblett, Inc.; Joan Henley, Henley Cabinetry; Stephen Whitt, Whitt Corporation; and Scott Schoolar, The Top Shop. For your future kitchen projects, please consider the advertisers listed above and see their ads in this issue.